Which Brand of Coconut Water is Best? Fresh coconut water is packed full of vital electrolytes such as potassium. 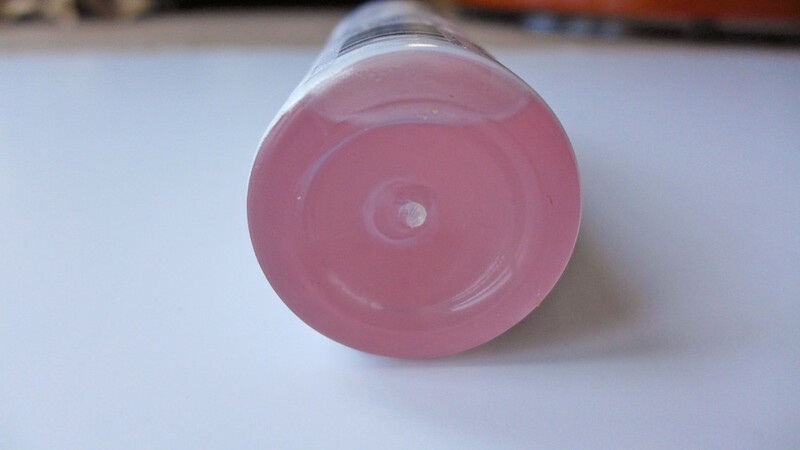 These precious nutrients can be lost through the manufacturing process e.g. pasteurisation, the use of preservatives and/or use of mature coconuts. Imagine my horror when I realised that many beloved brands of coconut water were full of preservatives, added sugar and void of any nutritional value. The hunt was on to find a healthier alternative. ‘Harmless Harvest‘ had come up a few times in my research. However, their coconut water is not available outside of the United States. That is why I was delighted to happen upon Rebel Kitchen’s raw organic coconut water when shopping at my local Waitrose. 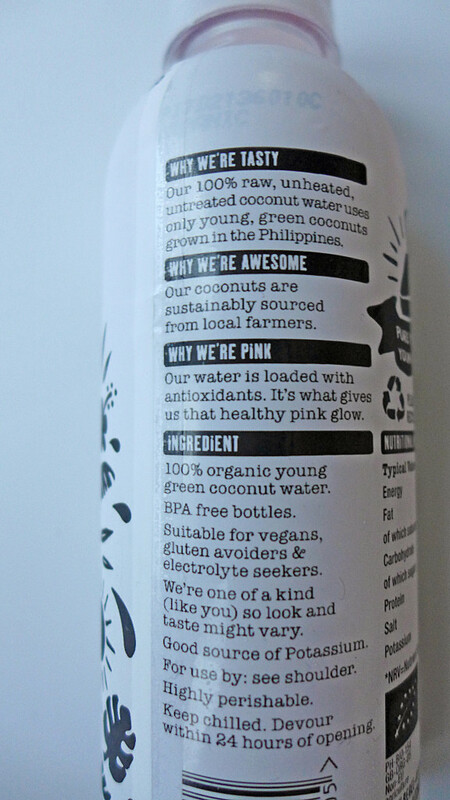 Rebel Kitchen state that they extract their coconut water from young green coconuts, that are grown organically in the Philippines. In order to preserve the sweet sweet coconut water and all its nutrients, they do not pasteurise the coconut water, add sugar or preservatives. To top it off, they are based in the UK. So, by purchasing their coconut water, you’ll be supporting British business. The flavour of their coconut water is very similar to the refreshingly sweet nectar of a fresh green coconut. I would recommend drinking it chilled or, using it in replacement of still water to give your smoothies an added boost. I’ll continue to search for other great coconut water brands available in the UK and update you as I find more. 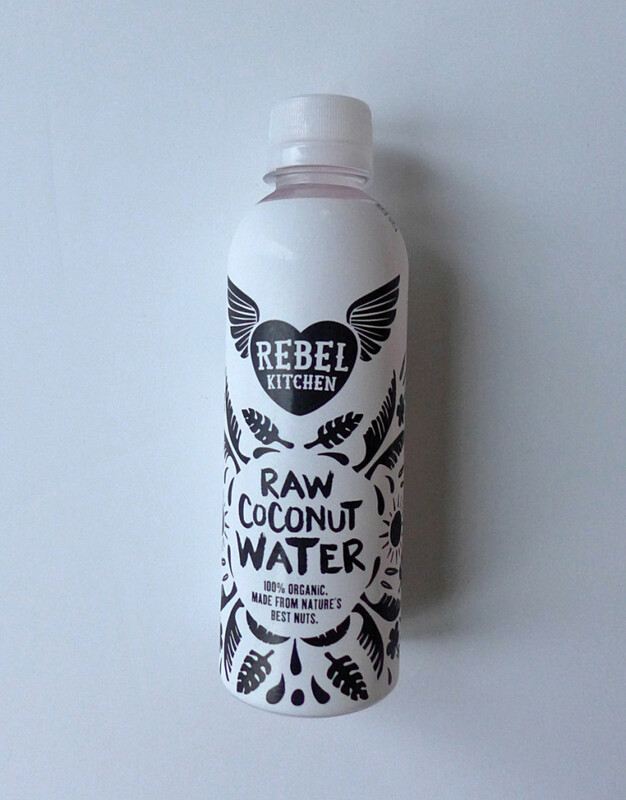 In the meantime you can buy Rebel Kitchen’s coconut water from: Waitrose; Ocado; Planet Organic and; Able and Cole.